When you are a proud homeowner, you get the sense that you have achieved something in life. But owning a house is not only a sign of accomplishment, it comes with a lot of responsibilities. Your home requires a lot of maintenance all year around. Every way in which you can make the process easier and less-time consuming would be an achievement. House improvements are traditionally seen as costing too much money and time, but this should not necessary be the case. Here we would like to lay down a few suggestions for a few projects that will not only make keeping your house in order more hassle-free, and the whole property much more comfortable and a better place to live in overall. The easiest house improvement idea that we can give you is to add a new layer or two of paint on the walls in the room that you would like to make better. Even if you just refresh the colour that you already have, or go wild and do a radical change, the results will be immediate. Just remember that the colours of the walls are usually considered in accordance to the type of furniture that you have. Additionally, some hues are suitable for one type of a room and others – for other. For example, green is proven to have a calming effect, which is why it is pretty suitable for bedrooms, while other more stimulating colours such as orange or red are to be used in the kitchen or the living room. 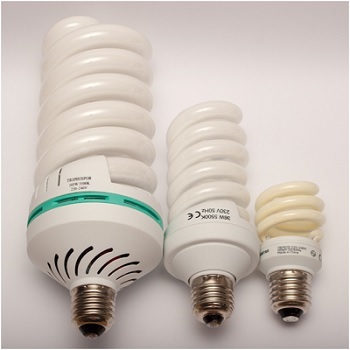 Change the light bulbs throughout the house with energy efficient ones. You will get the same results in lighting your house, while at the same time you will cut the amount of electricity spent several times. If that is not a deal we do not know what is. Install motion sensors for the lights in the garden and the front porch. Those are pretty useful on stairs and hallways as well, and also improve the energy efficiency of one’s house. Improve the insulation throughout the property. The better the insulation of your windows and walls is, the less energy will be wasted in cooling the house in summer and keeping it warm during the winter months. Add insulation on interior walls and the roof if you want the most optimal results imaginable. One important thing that you have to remember is that some home improvement projects are tougher than others. There are people that find tasks such as changing a light bulb too complex and there is no shame in that fact. If you find yourself in a situation when you want to get something done but you do not feel up to the task, you only need to find a suitable, reliable handyman service in London that will help you achieve the results you are after. Do a Spring Cleaning and get rid of all domestic waste accumulated on your property over the past year. Change the filters of the AC in order to improve its cooling efficiency, as well as the quality the air you breathe. Make sure the gutters are clean and functional. Work on insulating the outside and inside walls, windows, doors and even the roof of your house. A well kept flower or vegetable garden will make your entire house look better on the outside, and will add a sense of comfort every minute that you spend not only in the garden, but inside the house as well. Keeping a house in a good shape is a lot of work for sure, but we can assure you that it pays off in the long run. From building beautifully arranged flower beds to keeping garden waste off the premises, there are quite a few things that you can and should do. But there is one improvement project that you can make happen so that you actually spend less time achieving the same if not better results in your gardening. We are of course talking about installing a sprinklers system. 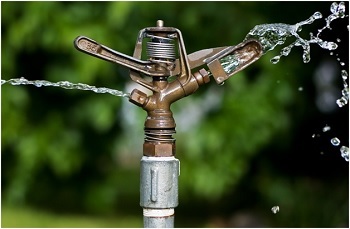 Turn it on early in the morning or late in the evening in order to avoid wasting water due to evaporation. Another handy advice when it comes to gardening is to start composting the organic waste that you produce at your household. It is efficient in terms of waste management, and it will also give you an easy way to enrich the soil of your garden. One thing is certain – we are talking about your home and it should reflect your personality, tastes and preferences. When you are planning on doing home improvements around the property you are going to find it the best option to go a project that will make it all comfortable and pleasant for you. If you have always wanted a play room with a pool table or a couple of cool video games, well find a way to make it happen. 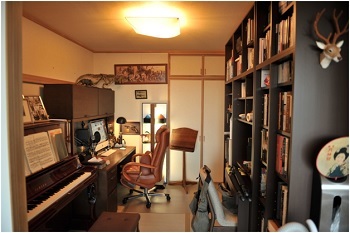 If you work extensively from home, it might be a good idea to have a home office designated. Invest in some furniture that will help you make the work environment more stimulating and avoid the pitfalls of the worker-from-home-lifestyle. You catch our drift – think really hard what you want and how it can happen, and then roll up your sleeves and get down to work. We can assure you that at the end of the day you will be glad you did that.